Visitors to this site are welcome to submit enquiries or suggestions, or to provide further information about any of the items listed, or to leave feedback for the Comments section below. The Form which used to be on this page is no longer available, but enquiries and feedback can still be sent by email. Please be sure to include your name and your location (city and country) if you would like a reply. If you have a technical enquiry, please identify your machine clearly by make and model, or include photographs if the model number is not known. 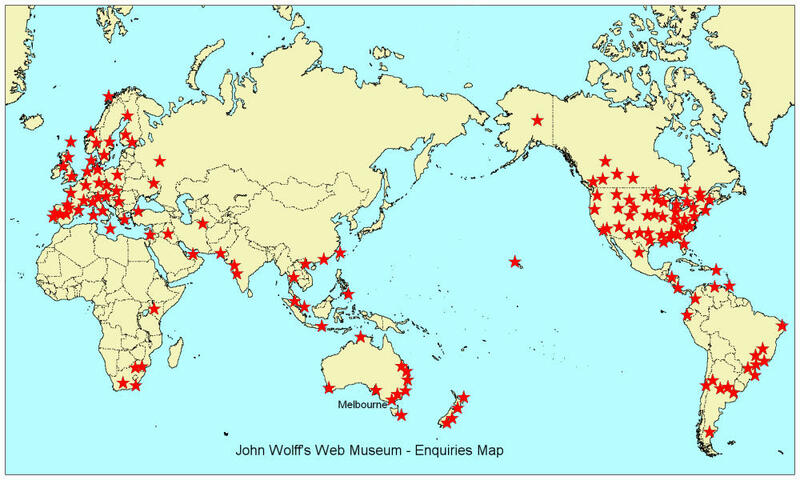 Visitors to this site have come from many countries around the world. Some of their locations are shown in the map opposite (click to enlarge), and some of their comments are quoted below. Last Updated: 15 September 2018.